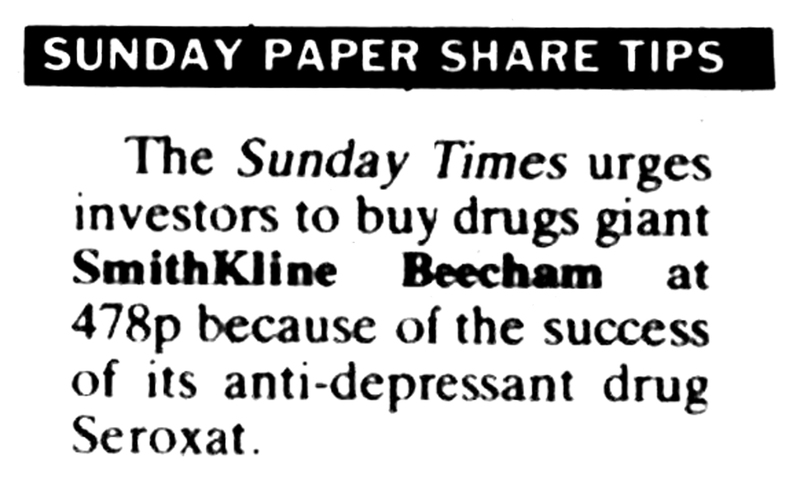 The Defeat Depression Campaign of the 1990s , entirely funded by the pharmaceutical industry, was an “educational campaign” organised by the Royal College of Psychiatrists in association with the Royal College of General Practitioners. 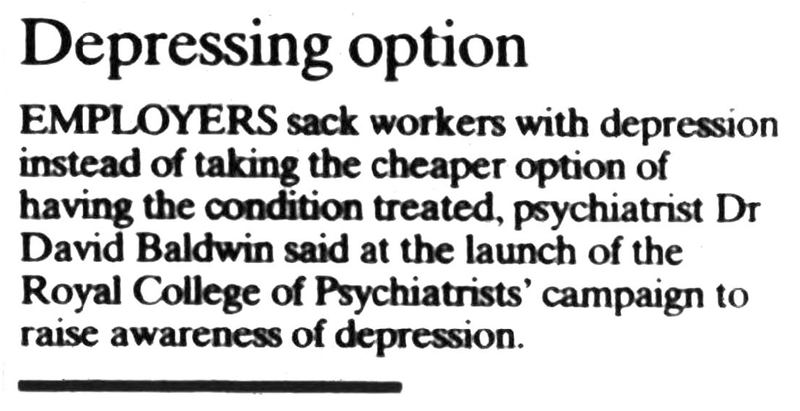 I was a trainee psychiatrist at this time and the impact this campaign had on the prescribing of antidepressants, particularly of the (then) recently introduced SSRIs, was huge. Most of the “educational” material was provided by the manufacturers and was saturated with “Stahl diagrams” of neurotransmitter-endings “explaining” the “chemical imbalance”. 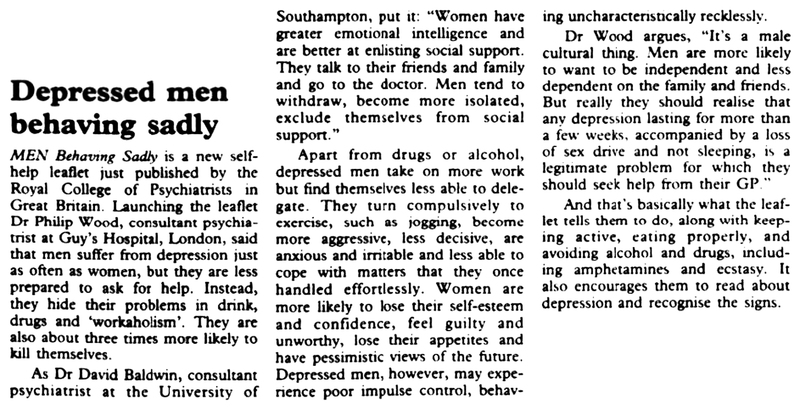 It is my understanding that the archive of the Defeat Depression Campaign is kept by the Royal College of Psychiatrists but has never been made available through their digital platform. 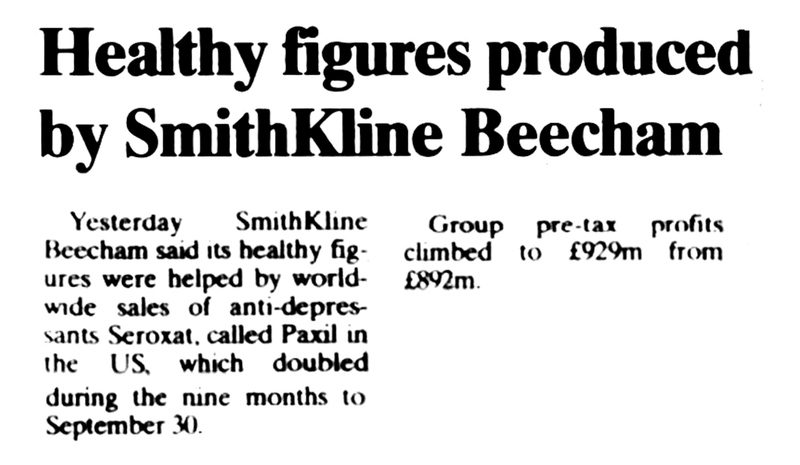 In a similar way, the British Journal of Psychiatry archive does not include the full page commercial adverts that have featured in the Journal from its earliest days. Nearly two decades after the Defeat Depression Campaign and Scotland has nearly 1 in 5 of its population taking an antidepressant and in England and Wales the volume of prescribing of antidepressants has doubled in a decade. 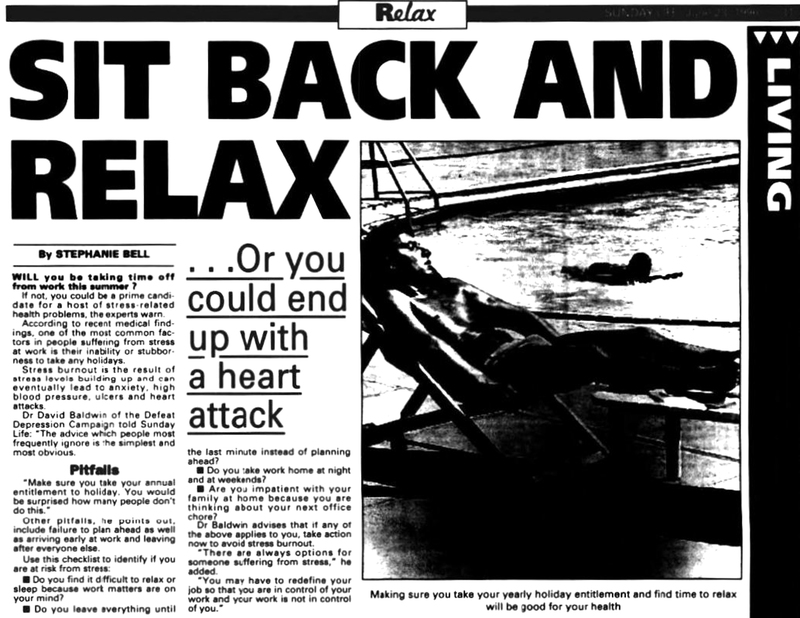 The following newspaper articles are from the 1990s. What is represented is just a tiny fraction of the public coverage. Two of the prominent Experts involved (Professor David Baldwin and Professor David Nutt) have worked extensively for – and been paid by – the pharmaceutical industry. It seems that, at the time of writing, this is still the case. 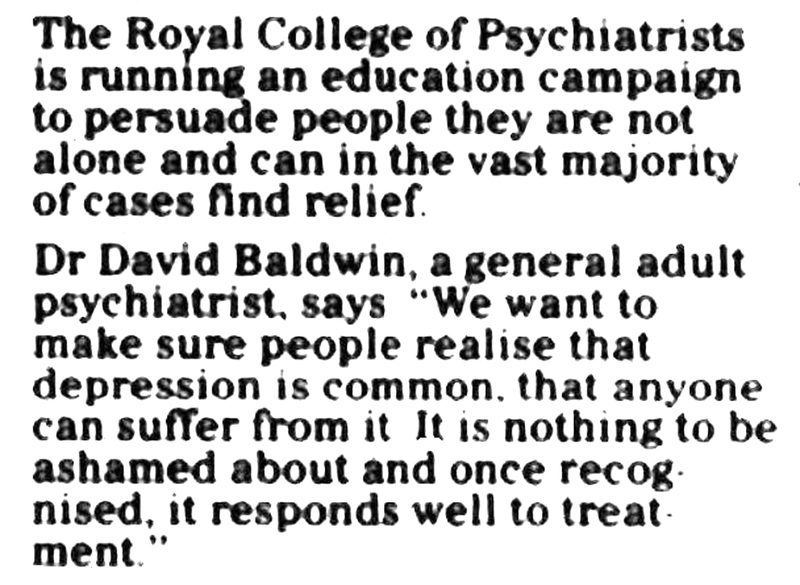 Professor Baldwin is the current Chair of the Royal College of Psychiatrists Psychopharmacology Committee.